Running a chain of business is always a challenge, and it often involves putting your own finances at risk. So whether you are a retailer of furniture, medicine, clothes, food, automotive supplies etc, you need to feel confident that your are protected. Running a chain of business is always a challenge, and it often involves putting your own finances at risk. So whether you are a retailer of furniture, medicine, clothes, food, automotive supplies etc, you need to feel confident that your customers, employees, and property are protected. Think about how you would manage if your stock, equipment, or even your premises were badly damaged or destroyed. Would you be able to continue running your business? Would you be able to recover from the financial loss? For instance, the recent protest over Cauvery water dispute caused huge losses to the neighboring retail stores. The agitators created a ruckus on the streets and destroyed the stores around. Due to such horrific situation many retailers choose to remain closed which hampered their business. We have no control over such unpleasant event occurring anytime so an insurance cover in these cases can be the savior. Hence it is imperative to stay insured to protect and minimize the loss to the business. Natural disaster & Fire: Fire insurance is the most essential for the survival of a business, especially when you are in the retail business industry. Your stock and store becomes the most important asset. Fire is a very common thing that can happen anywhere, due to which your stock, property gets damaged. Similarly Natural disaster such as flood, earthquake, and storm can also cause destruction. If one is insured the insurance company compensates you for all such losses. Burglary: If you deal with precious stones, and jewellery, then there is a high possibility of theft. It is wise to be insured against burglary as well. Transit & Machinery Breakdown policy: Retailers who manufacture their own goods deals with high cost machinery. Even repairing a small part of the machine can burn a hole in the owner’s pocket. Under the Machinery break down policy the repairing expensive are taken care of. Again, the finished goods from the manufacturing unit need to be transferred in bulk to their respective retail outlets. While travelling to the retail store if the truck meets with an accident causing damage to the goods, the owner will faces huge loss. But if he has taken the transit policy, the insurance company will pay for the damaged goods. Third party liability: Any members of the public with whom you interact in your business are protected from the risk you face as a business owner. Suppose your customer in your retail premises gets injured by a part of the AC falling on him or something similar, under the third party liability, the insurance company will pay for all the medical expenses that the customer needs to go through. Third party liability also covers an employee who while working in the factory or the outlet gets injured. Money policy: Money Insurance policy provides cover for loss of money in transit between the insured's premises to his multiple retail stores by robbery, theft or any other unexpected cause. 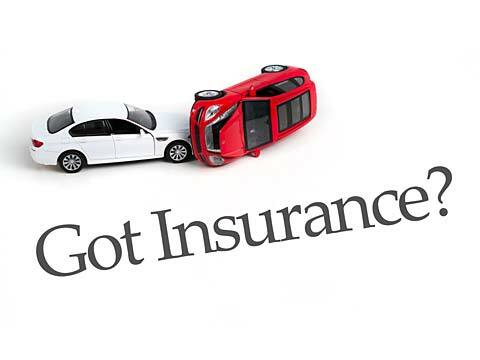 All the above mentioned insurance coverage is available in package policy offered by nearly all insurance companies. Every retail business is different and their risks are also diverse so make sure you know what kind of insurance you need for your business. This article has been pen down by Rahul Agarwal , Founder Director, Ideal Insurance Brokers Pvt Ltd.